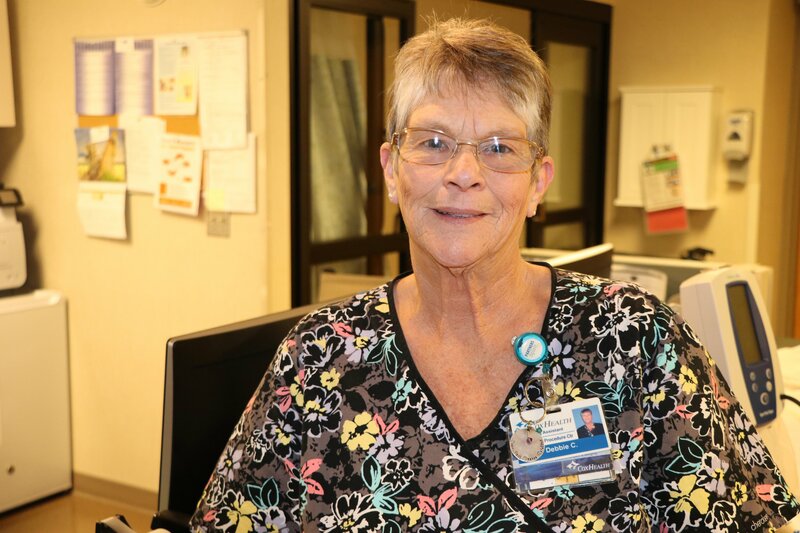 As a young child, Debbie Creed used to ride her bicycle around Cox Monett Hospital – back then, St. Vincent's – and often told her friends that she was going to work there one day. When she was almost 16 years old, she accepted a position as a nurse's aide at the hospital —a place that she has called home for the last 44 years. On Friday, Nov. 30, that journey comes to a close as Debbie enters the next phase of her life: retirement. "My goal has always been to help patients through their health care journey," she said. "Working in the Ambulatory Procedure Center has allowed me to develop a strong bond with my patients because many of them return for the same procedures. I get an opportunity to find out their story—they all become my friends." As Debbie reflects on her almost five decades of service and the joy of retirement, she says the hardest part of walking away will be the thought of not getting to see her amazing co-workers on a daily basis. "The people that I work with have always been there for me," she said. "We raised our families together and have been through so much. They truly are my second family." Debbie plans to spend more time with her family upon retirement. When she is not taking care of her 85-year-old mother, she plans to attend more of her grandkids' ballgames and is looking forward to a family vacation to Disney World in May. "The hospital has been good to me," she said. "Thank you for allowing me to serve you all these years." A retirement reception will be held for Debbie on Friday, Nov. 30 from 2-3 p.m. in the hospital's cafeteria. Everyone is invited to attend.